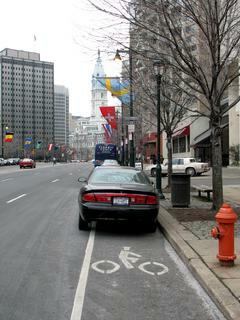 Some cities get it — bike lanes make it safer for bicyclists. 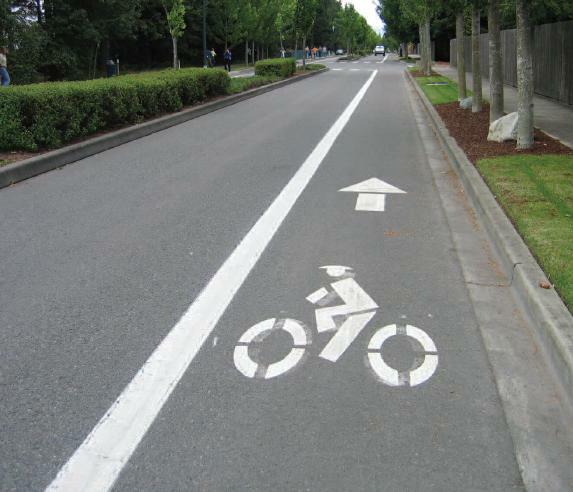 Ithaca should not take a step back and erase the bike lane on North Cayuga Street. Note: This photo is a typical bike lane, not Cayuga St. Some Ithaca residents are fighting a great new bike boulevard on well-traveled North Cayuga Street, despite mostly public support for the creation of the bike lane during the approval process in Common Council, according to a story this week in the Ithaca Journal. The street has been repaved and relined and repainted for safer bicycle travel. The $10,000 in improvements are done for now, and reversing the work could cost up to $15,000, city officials said. This week, the newspaper reported that five Council members were included in a letter by North Cayuga Street resident Josephine Martell, all saying they did not support the bike lane. Several elderly residents, according to Martell’s letter, moved in part because of fewer parking spots, and her letter called for the reopening of meetings and public hearings. The city is not eager to do this, and rightly so. The city seemingly did everything by the book and now that it’s a reality, some residents are making noise that the city should ignore. 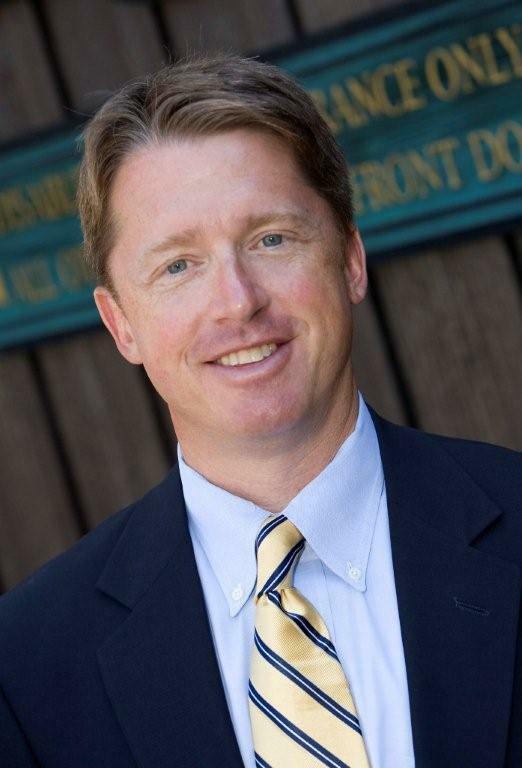 Bill Goldsmith, a Board of Public Works member, said it would have been better to receive the information from Martell earlier in the board’s “well-publicized” process. He said he was frustrated that the opposition to the project became public as the work was being completed. “We’ve spent a lot of time here,” Goldsmith told the newspaper. Ithaca Mayor Svante Myrick said the people have spoken and they want the bike lane. 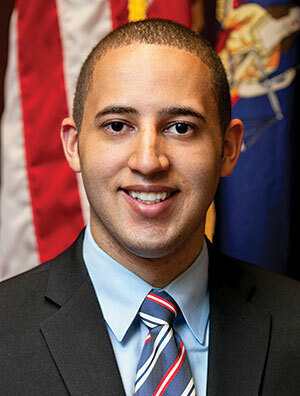 Ithaca Mayor Svante Myrick said reversing the decision would lead to some backlash and urged a decision be put off until the future. City Engineer Tim Logue said parking surveys of the street were completed early on, with the determination only the 800 block of Cayuga Street and Lincoln Street would have little parking and that there would be plenty of side-street parking available. Bike boulevards or lanes save lives. They provide room for motorists and bicyclists to share the road safely. I understand residents can get upset about the loss of parking spots. But isn’t it better for everyone if our roads are safer? This entry was posted in Bicycle Accidents, Bicycle Collisions, Bicycle commuters, Bicycle commuting, Bicycle Safety, Bike accidents, Bike collisions, Risks for Bicycle Riders, Uncategorized and tagged accident attorney, accident lawyer, Bicycle, bicycle accident, bicycle accident attorney, bicycle risks, Bicycle Safety, bike accident, Cycling, Elmira, Elmira New York, James B. Reed, Jim James B. Reed, Jim Reed, New York bicycle accident lawyer, ny bicycle accident, ny bicycle accident lawyer, ny bicycle cases, pa bicycle accident, pa bicycle accident lawyer, pa bicycle law, Twin Tiers, Ziff Law Firm on October 8, 2015 by Jim Reed. Here Is A Summary Of Bike Laws In New York State And NYC To Keep Riders And Motorists Safe! I see motorists and bicyclists break the law every day. As a veteran bicycle law lawyer, I decided it was time to summarize our state laws so everyone sharing the road knows their rights. • When passing a cyclist, pedestrian, animals, or obstructions in the roadway. • Upon a one-way street, or upon any roadway on which traffic is restricted to one direction of movement, where the roadway is free from obstructions and of sufficient width for two or more lines of moving vehicles. • (b) The driver of a vehicle may overtake and pass another vehicle upon the right only under conditions permitting such movement in safety. Such movement shall not be made by driving off the pavement or main-traveled portion of the roadway, except as permitted by section eleven hundred thirty-one of this article. 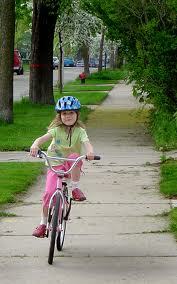 • A child under age one is not permitted to ride on a bicycle. • A child one or more years of age but less than five years of age must wear an approved helmet and be carried in a properly affixed child carrier. 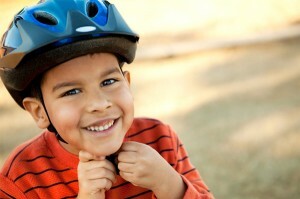 • A child five or more years of age but less than fourteen years of age must wear an approved helmet. I wrote this compilation of laws with Daniel Flanzig of Flanzig and Flanzig, LLP, www.newyorkbikelawyers.com. We collaborated on this in our roles as Legal Advisers/Board Members to the New York Bicycling Coalition and as bicycle accident lawyers with BikeLaw.com. If you have any legal question pertaining to cycling laws in the state of New York, please feel free to contact Jim Reed at [email protected]. This entry was posted in Bicycle Accidents, Bicycle Collisions, Bicycle commuters, Bicycle commuting, Bicycle Laws, Bicycle Safety, Bike accidents, Bike collisions, Cool Stuff for Bicyclists, New York Bicycling Coalition, Risks for Bicycle Riders and tagged accident attorney, accident lawyer, Bicycle, bicycle accidenet laws, bicycle accident, bicycle accident attorney, bicycle risks, bike accident, Cycling, Elmira, Elmira New York, Injury, James B. Reed, Jim James B. Reed, Jim Reed, New York, New York bicycle accident lawyer, New York City, ny bicycle accident, ny bicycle accident lawyer, ny bicycle cases, pa bicycle a, pa bicycle accident, pa bicycle accident lawyer, Twin Tiers on June 30, 2015 by Jim Reed. In my almost 30 years of representing injured cyclists it has been interesting to watch the impact that various new technologies have had on cycling and the bicycle crash cases. This has been both bad and good. Some technologies are responsible for causing more bike/car collisions (I.e. 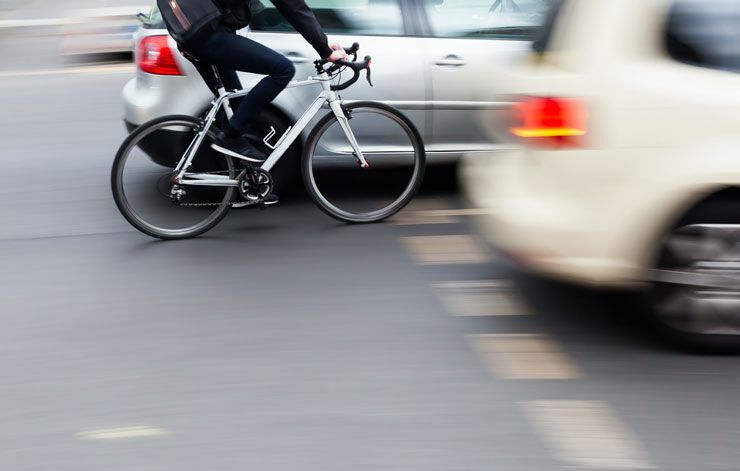 Cell phones, GPS) and some technologies (surveillance videos, body-mounted cameras) are actually assisting cyclists in proving that their collisions were due to the actions of an unsafe driver. 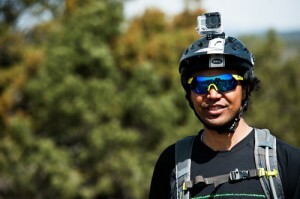 In this post, I discuss the increasing importance played by body-mounted or bike-mounted cameras. Sad to say but when there is a bike collision, even when the motorist was clearly at fault, it is VERY common that the motorist will NOT accept personal responsibility and will instead blame the cyclist. Over and over again I have seen otherwise honest drivers falsely claim that the cyclist was the cause of the collision rather than admitting they were at fault. I used to believe that most drivers intentionally lied to avoid liability but I now believe that there is a deeper psychological principal at work here– people simply can’t stomach the idea that they inadvertently hurt someone so their brain reprocesses how the accident occurred in a way that deflects blame from them and imposes it on someone else, anyone else. It’s the grown up version of the little kid that adamantly and earnestly denies that he walked through the kitchen with his muddy shoes despite the long line of muddy footprints that convincingly prove otherwise. Compounding the problem of driver’s adamantly denying fault is the fact that many police officers seem to have a strong predisposition to blame the cyclist. Many times this occurs because the cyclist is badly injured so they are unable to tell their version of how the collision occurred so the police officer accepts the motorist’s version as gospel because that is the only version he has heard. Other times, the motorist tells one version, the cyclist tells another version, and the officer simply doesn’t take the time to thoroughly investigate (interview ALL witnesses, take photos and measurements of skid marks, physical evidence, etc.). So in many of my bike accident cases it becomes tough to PROVE who was at fault. One tool that can make a huge difference is video of how the collision occurred. As the old saying goes “a picture is worth a thousand words”. 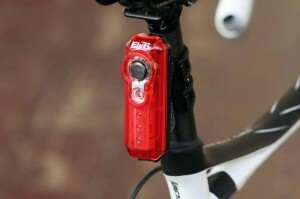 Many cyclists have now resorted to using a “black box” — a tough, mountable camera that records footage during a ride. The hi-res cameras could serve as a deterrent for motorists who may otherwise drive recklessly. They are there to provide footage for police in the unfortunate event a cyclist is hit or harassed by a driver. The Huffington Post has a great story about a mother and her 1-year-old son who were struck by a car three years ago while walking in a crosswalk in Washington, D.C. An avid rider of a 100-pound cargo bike, the mother, Megan Odett, now wears a GoPro camera to help protect herself after close calls on her bike. It’s sad that cyclist’s need to wear cameras to prove the fault of the drivers who often falsely claim that the cyclist was at fault. In my own cases, on many occasions, I find that the driver’s frequently lie and attempt to blame the victim. Although I don’t wear a camera myself, I certainly think it’s a good idea for those cyclists who frequently ride on busy urban streets. Sad to say but sometimes one can’t be too careful…. Having a point-of-view camera is a huge help in hit-and-run cases, since the proximity to the vehicle as well as the image and audio quality are better than that of red light and surveillance cameras. In other cases, the camera is an impartial observer that can help determine which party was at fault, the reporter noted. The market is ready. In February, the Fly6, a combination rear bike light and audio/visual camera specifically designed to record drivers behind a cyclist who may rear-end, cut off or unsafely pass a biker was unveiled. Dina Driscoll, a 30-year-old Philadelphian who bikes with her kids, told the HuffPost she wears her camera mounted to her helmet. Do you have a wearable camera or do you plan to soon buy one? Tell us about your experience in the comments below if you already have a camera. This entry was posted in Bicycle Accident Cases in Court, Bicycle accident lawsuits, Bicycle Accidents, Bicycle Collisions, Bicycle Safety, Bike accident lawsuits, Bike accidents, Bike collisions, Risks for Bicycle Riders, Uncategorized and tagged accident attorney, accident lawyer, Bicycle, bicycle accidenet laws, bicycle accident, bicycle accident attorney, bicycle risks, Bicycle Safety, bike accident, Cycling, Elmira, Elmira New York, GoPro, James B. Reed, Jim James B. Reed, Jim Reed, National Highway Traffic Safety Administration, New York, New York bicycle accident lawyer, ny bicycle accident, ny bicycle accident lawyer, ny bicycle cases, pa bicycle a, pa bicycle accident, pa bicycle accident lawyer, Twin Tiers, Ziff Law Firm on December 11, 2014 by Jim Reed. Truck driver Joseph Chaffee told police he was taking “swigs” of vodka as he made deliveries shortly before he struck and seriously injured bicyclist Joseph Schrom. The book bag with the vodka bottle was on the front seat of his truck. A Horseheads man who was critically injured when he was struck by a drunken driver while riding his bicycle in September 2010 will receive a settlement of more than $1.8 million over his lifetime. I negotiated the settlement with the insurance company for the truck driver’s employer on behalf of Joseph Schrom, now 21. Joseph Chaffee violently struck the rear of Joseph Schrom’s bicycle on Sept. 23, 2010, causing serious injuries to Schrom. Schrom was riding on Old Ithaca Road in Horseheads near Ridge Road on Sept. 23, 2010, when his bicycle was struck from behind by a Wolfe Distributing truck driven by Joseph Chaffee of Towanda. Schrom was waiting to make a left turn when the accident occurred. Chaffee was charged with Aggravated Driving While Intoxicated and other charges after police determined his blood-alcohol level was .18 percent. Chaffee admitted to police that he was taking “swigs” of vodka that day as he made deliveries. 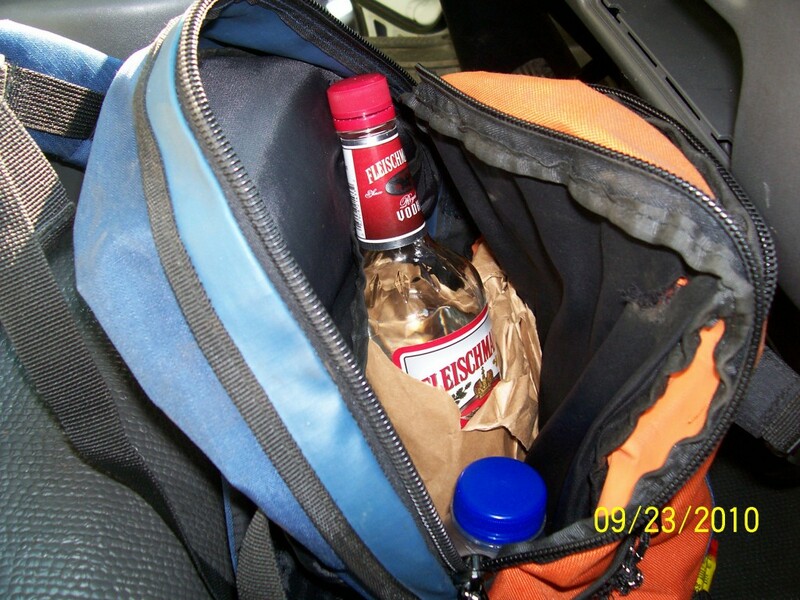 A vodka bottle was found in a book bag on the front seat of Chaffee’s truck. Schrom, who was wearing a helmet at the time of the accident, suffered a traumatic brain injury and numerous other injuries and has had multiple surgeries and hospitalizations since the accident. Chaffee told police that Schrom turned into the path of his truck, but an accident reconstructionist showed that Chaffee’s claim was incorrect. I am pleased that this substantial settlement will provide the financial assistance he will require to offset, in a small way, the permanent limitations caused by the injuries he suffered in the crash. Chaffee pleaded guilty in 2011 in Horseheads Town Court to Aggravated DWI and Consumption of Alcoholic Beverages in a Motor Vehicle. He was sentenced to a three-year conditional discharge, 180 days in the Chemung County Jail, a $600 fine, a $400 surcharge and had his driver’s license revoked for one year. 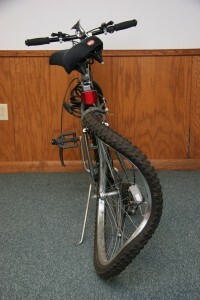 This entry was posted in Bicycle Accident Cases in Court, Bicycle accident lawsuits, Bicycle Accidents, Bicycle Collisions, Bicycle Laws, Bicycle Safety, Bike accident lawsuits, Bike accidents, Bike collisions, Risks for Bicycle Riders, Uncategorized and tagged accident attorney, accident lawyer, Bicycle, bicycle accident, bicycle accident attorney, bicycle risks, Bicycle Safety, Chemung County New York, Cycling, Elmira, Elmira New York, James B. Reed, Jim James B. Reed, Jim Reed, Law, Lawsuit, New York, New York bicycle accident lawyer, ny bicycle accident, ny bicycle accident lawyer, ny bicycle cases, pa bicycle accident, pa bicycle accident lawyer, pa bicycle law, Schrom, Towanda Pennsylvania, Twin Tiers, Ziff Law Firm on November 11, 2014 by Jim Reed. New bike-friendly baggage cars produced at CAF USA will be available on Amtrak long-distance routes by the end of the year. Amtrak will soon offer bike-friendly baggage cars on all 15 of its long-distance routes, thanks to workers at CAF USA in Elmira Heights, according to the New York Bicycling Coalition. 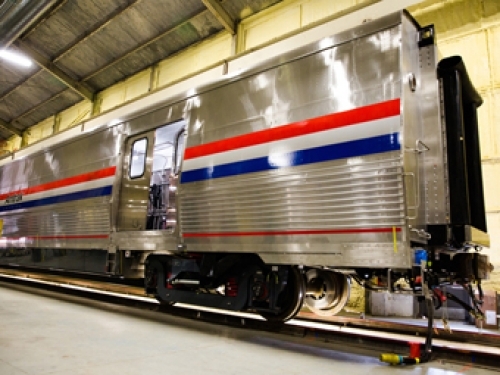 CAF USA was awarded a $298.1 million contract in 2010 to build the baggage cars and other cars for Amtrak. This is great news for our local economy and it is great news for all N.Y. cyclists. The Coalition said the new cars’ built-in luggage racks will secure unboxed bicycles, which means passengers will no longer have to box their bicycles to be checked as baggage. As someone who has frequently traveled with my bikes, I LOVE the fact that Amtrak is making it so much easier to take bikes on their train. CAF USA in Elmira Heights. 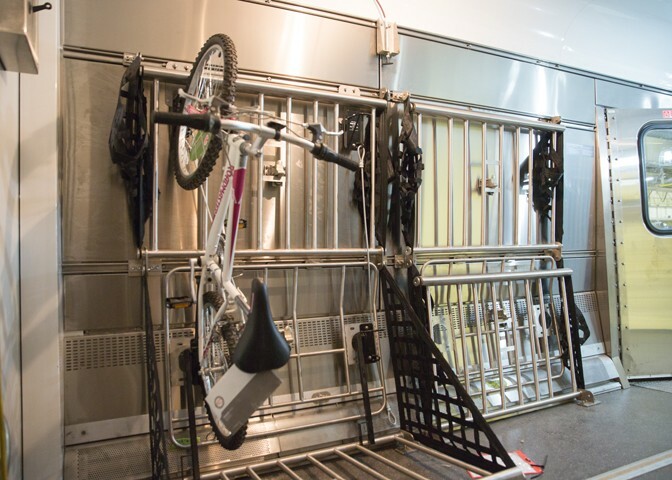 “This is good news for bicycle-touting passengers using New York’s only long-distance Amtrak train, the Lake Shore Limited, who will benefit from the new bike-friendly baggage car service on this route between New York City and Chicago. According to the Coalition, shorter corridor routes in New York, including the Adirondack, Ethan Allen, Maple Leaf and Empire Service trains, will not include the service. Bicycles can’t be carried onto these trains, which serve many smaller communities whose local economies often depend on tourism. This entry was posted in Bicycle commuters, Bicycle commuting, Cool Stuff for Bicyclists, New York Bicycling Coalition, Uncategorized and tagged accident attorney, accident lawyer, Amtrak, Bicycle, bicycle accident, bicycle accident attorney, bicycle risks, Bicycle Safety, bike accident, Chicago, Cycling, Elmira, Elmira New York, Empire Service, Ethan Allen, James B. Reed, Jim James B. Reed, Jim Reed, Lake Shore Limited, New York, New York bicycle accident lawyer, New York City, ny bicycle accident, ny bicycle accident lawyer, ny bicycle cases, pa bicycle accident, pa bicycle accident lawyer, Passenger car (rail), Twin Tiers, Ziff Law Firm on July 9, 2014 by Jim Reed. 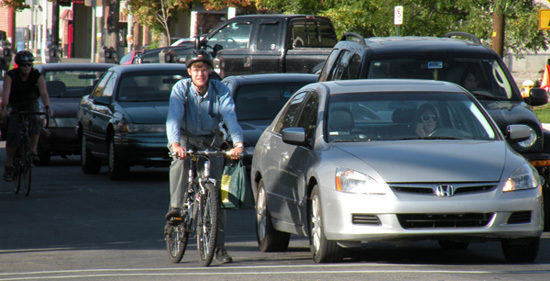 Great advice from an Ithaca bicyclist: "Don't risk your safety for a driver's convenience." There was an excellent discussion on our local bicycle listserv (pasted below with permission of the authors) that very logically explained what I have always advocated — that riding assertively and visibly as if you were a car is safer than trying to timidly hug the curb. 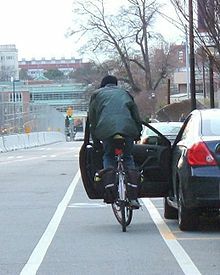 As Ithaca cyclist Andy Goodell concluded: “Don’t risk your safety for a driver’s convenience.” We have a right to the roads, and it’s simply safer to take the lane and ride as if you are driving a car in most situations downtown. Please read the discussion and then share your comments as to whether you agree with this riding style or share with us any riding practices you feel contribute to greater safety. 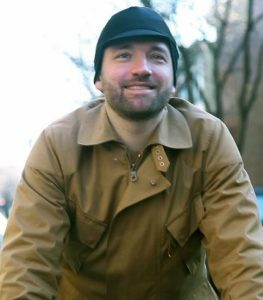 Andy is writing about bicycling on Ithaca city streets, but his descriptions and accounts will easily translate to the streets in Elmira, Corning and anywhere else in the Twin Tiers for bicyclists. When I moved to Ithaca four years ago, I had some similar interactions and wondered why the heck people in cars drive so poorly when bicycles are near. It took me a few months to figure it out. It became rather clear to me over time that within the city, the more I ride my bike as if I’m driving a car, the fewer issues I had. I have ridden these roads and know the turns …, and when I imagine someone trying to ride next to a curb on a bridge, or splitting lanes expecting to go straight on Buffalo Street, or otherwise trying to avoid traffic on roads like these rather than being part of it, I can remember why I had those same difficulties once. The simple answer is to act as any driver does, and use the lane. Cyclists have the right to use the full lane when sufficient space to share side by side (14 feet) is not available. 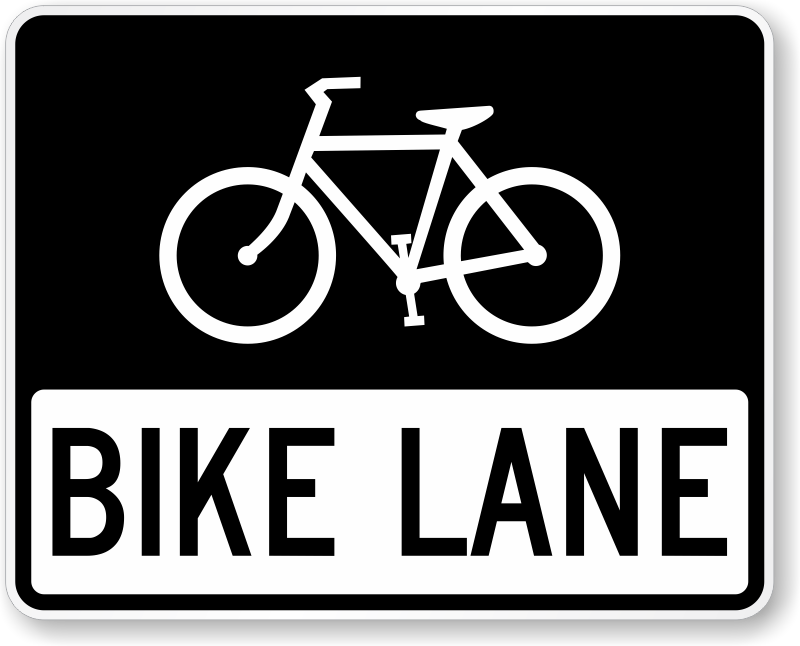 I cannot think of a lane in Ithaca that is wide enough for that, so that means that I typically ride prominently in the lanes where I am visible, can ride in a predictable path, and can avoid any potholes or debris, rather than stay next to the curb. To clarify, when there is a clear and safe shoulder, I do use that space, but for the majority of city roads that is not available. For beginners, that can go against their sense of “I must stay out of the way of drivers at all costs” that I once had as well, but I can assure you that I now have many fewer poor interactions with drivers than when I first started cycling. The trouble with trying to stay to the side is that it entices drivers to pass, even if it’s not safe. For example, on a bridge, if there are cars coming the opposite direction, I’m likely to move into the middle of my lane so that cars approaching me from behind don’t try to pass and cross the yellow lines at an unsafe time. And about 99.9 percent of the time that works — the car behind me slows down for half a second, the car ahead passes by, I move back to two to three feet from the curb to allow myself a safe amount of space to avoid water grates or debris or whatnot, and the car behind me safely passes and gets to the red light maybe two seconds later than if they gunned it to pass me. My office recently moved downtown, and I commute east along most of Buffalo Street each morning. I see other cyclists weaving around the parked cars on that road, and cars passing them rather unpredictably, seemingly unsure of if the cyclist is continuing straight or turning. Unless there is a section of about 10 empty parking spaces or more, I ride in the middle of the lane on Buffalo Street every day now because I’ve found that interactions are simply more positive when I do that. Considering it’s a densely populated area with cars parked along both sides of the street, a 15 mph school zone for a block or two, pedestrians crossing at every block, frequent red lights, and traffic turning at every raised intersection, it just isn’t any faster for someone driving to pass me. A few try, and we always end up at the same red light just a few seconds apart. This only helps justify why I take the lane most of the time. There is simply no reason that I should give up my safety for someone driving a car to reach the next red light a few seconds faster. They can try, and they can grumble about me “in their way,” but I’m not going to ride along car doors that can open at any second, or weaving around parked cars unpredictably, or hug the curb only to get the “right hook” when someone tries to turn right and cut me off. Similarly with Green or Seneca streets in downtown Ithaca, which have two lanes in each direction, I feel no need to ride along the side next to parked cars as I see many other cyclists doing. When I used to ride that way, people passed me giving very little space trying to stay within the lane. I was cut off by drivers more frequently when they made right turns and incorrectly assuming that I was out of their way on the side. Since these roads have fewer stops, traffic can get up to 30 mph, but I’m never impeding traffic since they can pass me on the left lane at any time. I wish more cyclists would take the lane, and maybe this rant will help a few more to understand why many people do take the lane, as I’ve found it significantly safer, easier, and more convenient. Don’t risk your safety for a driver’s convenience. We have a right to the roads, and it’s simply safer to take the lane and ride as if you are driving a car in most situations downtown. I’d be more than happy to go for a ride to demonstrate this to anyone that doesn’t think that is so. Thanks for taking the time and trouble to write this. Your method is exactly the right method for navigating motor traffic in a place like Ithaca (or Elmira, for that matter). Riding a bicycle in traffic requires that you grab your spot in the traffic and make yourself obvious when you’re doing it. Even though you are not motor traffic, and you have to respect the ways in which you are different from motor traffic, if you want to move with the flow of motor traffic, you have got to put yourself where motorists are going to be looking for other traffic and used to making room for it, i.e., where other motorists are. And you’ve got to move as much like a motorist as you can. With all the difficulty motorists have watching out for other motor traffic, you can’t reasonably expect them to be watching out for bicyclists doing their best to disappear in the parking lane (or scrunching themselves into the typical minimalist bike lane). It’s going to remain an unfortunate fact that city streets, even in a small city like Ithaca, are not a friendly place for cyclists who don’t understand these principles or can’t accommodate them. Thanks for reading both letters. Please share your comments below! This entry was posted in Bicycle Accidents, Bicycle Collisions, Bicycle commuters, Bicycle commuting, Bicycle Safety, Bike accidents, Bike collisions, Risks for Bicycle Riders, Uncategorized and tagged accident attorney, accident lawyer, Bicycle, bicycle accident, bicycle risks, Bicycle Safety, bike accident, Cycling, Elmira New York, James B. Reed, Jim James B. Reed, Jim Reed, New York bicycle accident lawyer, pa bicycle accident lawyer, Ziff Law Firm on October 15, 2012 by Jim Reed. Ziff Law Firm Collects Food Items For Elmira Food Pantry in Exchange for FREE Pioneers Tickets! Help us stock a local food pantry this summer by making a donation at our office. 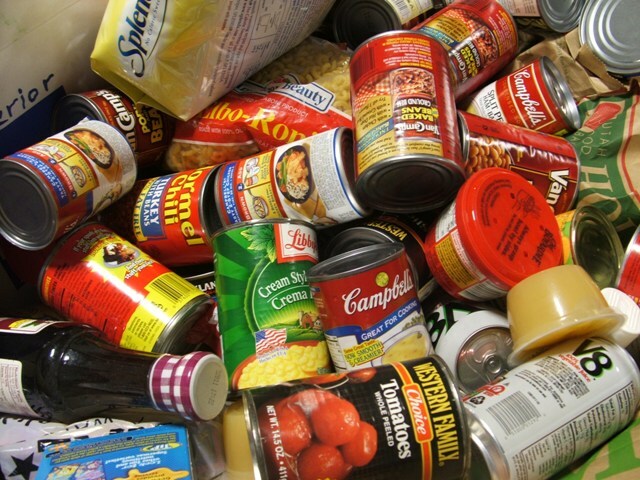 The Ziff Law Firm is collecting nonperishable food items for an Elmira food pantry. Those who donate five or more items will receive two free general admission tickets to the July 11 Elmira Pioneers baseball game at Dunn Field. Donations are being accepted at our office at 303 William St. in Elmira. The office is just north of the intersection of East Church and William streets. The office is open from 8 a.m. to 5 p.m. weekdays for donations. The donated items will be provided to the North Presbyterian Church Food Pantry in Elmira. The Ziff Law Firm has a long history of helping our community, and we realize many families will need assistance this summer. We know the generous people in our community will help us keep the food pantry shelves full this summer. The Pioneers will play the Glens Falls Golden Eagles at 7:05 p.m. July 11 at Dunn Field. The donation deadline is Friday, July 6. If you have any questions, please don’t hesitate to call us at (607) 733-8866 or (800) ZIFF-LAW (943-3529). For those who contribute, please accept our sincere thank you! Thanks for reading and helping others! This entry was posted in Uncategorized and tagged accident attorney, accident lawyer, donations, Elmira, Elmira New York, Food, food pantry, James B. Reed, Jim James B. Reed, New York, New York bicycle accident lawyer, pa bicycle accident lawyer, Ziff Law Firm on June 28, 2012 by Jim Reed. I will also be NYBC’s designated Bicycle Accident Legal Consultant which is a logical extension of my work on bike accident cases. 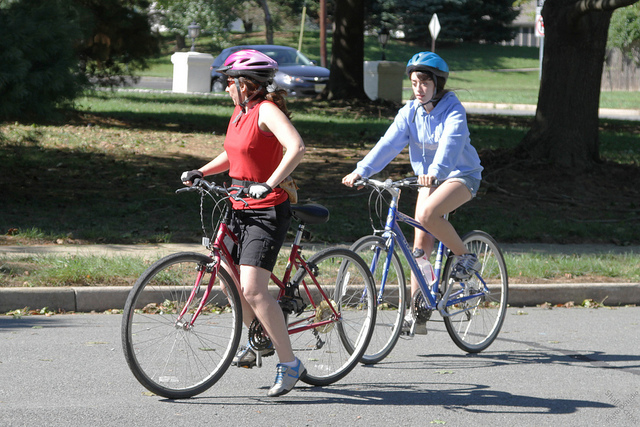 In the past, the news media contacts me when they need a bicycle accident lawyer’s comments for a story, and I am always happy to help in any way I can to educate the public about bicycle safety and the rights of bicyclists. I have been quoted nationally in the The New York Times, the New York Post and locally in many papers including the Elmira Star-Gazette and The Leader in Corning . I am flattered and excited to join the Board because I have long been impressed with the tremendous cycling advocacy work performed by NYBC. I also know that some of the most influential and passionate bicycling advocates in New YorkStateare on the board and I am very excited to start working with them to promote cycling throughout the state. As the designated bicycle accident legal consultant, I hope to better educate cyclists throughout the state as to their legal rights when they have had the misfortune to be injured in a bike accident. And finally, I hope to help advocate for new laws that will better protect the cycling community. I hope all of my readers, regardless of whether they are riders, will consider joining the NYBC to help improve cycling for ALL in New York State. Check out the NYBC website to learn more about this great organization and how you can join. 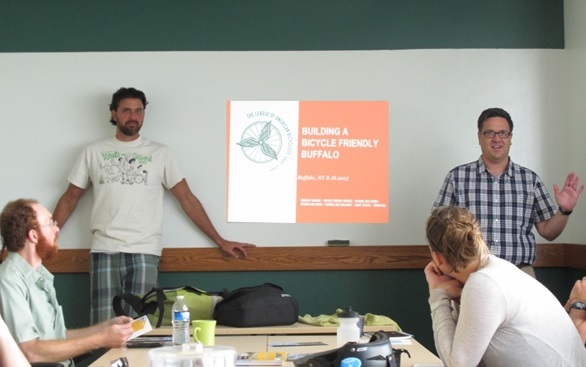 NYBC advocates for bicyclists with local, state and federal government agencies. NYBC educates New Yorkers about the benefits of riding and walking. NYBC participates in training programs, and you can download its very helpful Safety Manual here. They are a great resource, and I am honored to bring this great organization to your attention. I will say more about NYBC in the coming months! This entry was posted in Bicycle Safety, Cool Stuff for Bicyclists, New York Bicycling Coalition, Risks for Bicycle Riders, tandem bicycles, Uncategorized and tagged accident attorney, accident lawyer, bicycle accident, bicycle accident attorney, bicycle risks, Bicycle Safety, bike accident, James B. Reed, Jim James B. Reed, Jim Reed, New York bicycle accident lawyer, pa bicycle accident, pa bicycle accident lawyer, pa bicycle law, Ziff Law Firm on April 30, 2012 by Jim Reed.